Images - FEAR-COOP mod for F.E.A.R. Coop Warfare, a multi-purpose Multiplayer mod that enables you to play with up to 32 players on one server, offers the new exclusive game modes Coop, Demolition, and Coop Elimination. It also features two new exclusive weapons, about 30 different player skins and models, and a lot of maps for both Coop and Demolition game modes. Coop is a game mode where you can battle against enemy AI along with your teammates on specially designed Coop maps. 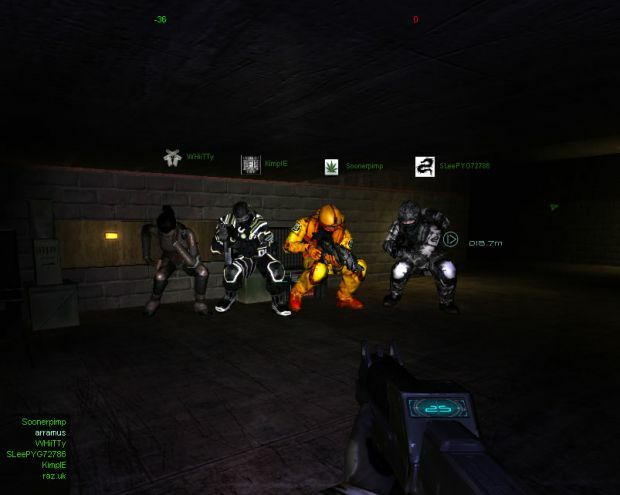 Demolition is a game mode where the task of one team is to find and arm a bomb in order to detonate it, and the other team has to stop them or disarm the bomb. Join us at our new website, register, start posting and enjoy your stay! Thanks to Soonerpimp, WHiiTTy, SLeePYG72786, KimpLE, raz.uk for teaming up and battling the bots with me today for a good few map rotations. Good to see the mod is still used and abused.